Selected by the New York Jets in the first round (13th overall) of the 2013 NFL Draft…Traded to the Seattle Seahawks on Sept. 1, 2017…Signed as an unrestricted free agent by the Minnesota Vikings on March 16, 2018…Signed by the Cleveland Browns as an unrestricted free agent on March 14, 2019. Notched 335 tackles, 23.5 sacks, seven passes batted down, six forced fumbles, five fumble recoveries and an interception in 89 career games with 87 starts…Has carried the ball on offense four times for two scores…Tied DL William “The Refrigerator” Perry for the most rushing touchdowns by a DL in a season (two) and tied with Perry and Dontari Poe for career rushing touchdowns (two) by a DL. 2013 AP NFL Defensive Rookie of the Year and a member of the 2013 All-Rookie Team... Named Rookie of the Month for November in 2013…Named to his only career Pro Bowl in 2014. 2018: Started all 16 games, finishing with 62 total tackles (43 solo) and 4.5 sacks...A key contributor on a defense that ranked fourth in the NFL in both points and yards allowed...(9/9) vs. SF: Made his Vikings debut, making seven tackles and a half-sack…(9/16) at GB: Notched a half-sack for the second consecutive game, bring his career total to 20…(10/28) at NO: Grabbed a season-high eight tackles…(11/4) vs. Det. : Recorded three solo tackles and a half-sack as the defense set a franchise record by sacking Matthew Stafford 10 times…(11/25) vs. GB: Totaled seven tackles and a season-high two sacks, his first multi-sack game since 12/11/14…(12/16) vs. Mia: wrapped up three tackles and a sack. 2017: Started in 15 games...Recorded 44 tackles (27 solo), tied a career-high two fumble recoveries, and registered his first career interception...(10/8) at LAR: Recovered and returned a fumble 20 yards, while also recording his first career interception, returning it five yards...(11/9) at Ari. : Returned from injury to register his second fumble recovery of the year...(11/20) vs. Atl. : Sacked Matt Ryan and recorded a season-high six tackles...(12/3) vs. Phi. : Forced a fumble that resulted in a touchback. 2016: Played in 15 games, starting 14...Finished the season with 62 total tackles and 1.5 sacks...(9/15) at Buf. : In his season debut, recorded four tackles…(10/9) at Pit. : Notched his first fumble recovery of the season…(10/17) at Ari. : Tied a career-high in solo tackles with seven…(10/23) vs. Bal. : Sacked Joe Flacco and helped limit the Ravens to a franchise-low six rushing yards…(1/1) vs. Buf. : Forced and recovered a fumble that led to a field goal. 2015: Started all 11 games he appeared...Finished second on the team with five sacks...Registered 35 tackles on the year with a pair of pass breakups and forced fumbles...Contributed on the No. 1-ranked defense in the AFC and second in the NFL...(10/18) vs. Was. : In season debut, posted three tackles and a half-sack…(10/25) at NE: Contributed with four tackles and brought down Tom Brady for a four-yard sack…Added a forced fumble…(11/29) at Mia. : Registered a strip-sack for a 10-yard loss…(12/27) at NE: Corralled his fifth sack on the year…(1/3) at Buf. : Tallied a season-high six tackles in the season finale. 2014: Started all 16 games for the first time in his career...Awarded his only Pro Bowl appearance of his career following the season…Tallied 67 total tackles with a career-high eight sacks...(9/14) at GB: Posted four tackles and a fumble recovery…(9/22) vs. Chi. : Contributed his first sack of the season, as well as three tackles and a pass breakup…(10/5) at SD: Registered his third consecutive game with a sack…(10/12) vs. Den. : Forced his first fumble of the year, adding seven stops…(10/26) vs. Buf. : Recorded a career-high nine tackles…(12/7) at Min. : Reached the QB three times, for a new season high…Added seven tackles. 2013: As a rookie, appeared in 16 games and started the final 15 for the Jets...Named AP NFL Defensive Rookie of the Year...Named Rookie of the Month for November...Received All-Rookie Team honors…Totaled 78 tackles, 3.5 sacks, one pass defensed and one forced fumble...Added two rushing touchdowns on offense…Only defensive player in 2013 to score a pair of rushing scores...(9/8) vs. TB: In NFL debut, posted seven tackles and a half-sack…(9/22) vs. Buf. : Posted the first full sack of his career, an eight-yard drop…(10/7) at Atl. : Notched five tackles and batted down his first career pass…Also sacked the quarterback for an eight-yard loss…(10/13) vs. Pit. : Forced his first career fumble, as well as posting six tackles…Posted career highs in tackles with nine in back-to-back weeks at Buffalo (11/17) and at Baltimore (11/24). Started 23 of the 34 games he played, including 13 starts in 24 contests in his final two seasons at Missouri...Recorded 116 tackles, six sacks, four forced fumbles and a pair of fumble recoveries...Started all 11 games as a redshirt junior, and earned All- American Dream Team and All-SEC second-team honors from The NFL Draft Report...Led the SEC with a career-high 79 tackles...Registered four sacks, three forced fumbles, two fumble recoveries, three passes defensed and blocked a kick…Played in 13 games with two starts while playing through a shoulder injury as a redshirt sophomore...Earned honorable mention All-Big 12 from league coaches after he registered 37 tackles, one forced fumble and two sacks…In his lone season at College of the Sequoias before transferring, he registered 65 tackles, 2.5 sacks and two passes defensed…Studied real estate business. Native of St. Louis, Mo…Son of Zelda and Michael Richardson…Has a daughter, Riley. High School: Attended Gateway Tech High School (St. Louis, Mo. )...Ranked No.  1 overall player coming out of the state of Missouri…Named 2008 EA Sports first team All-American as a senior after registering 88 tackles, 19 sacks, seven fumble recoveries, five forced fumbles and an interception…Also lettered in basketball and baseball and participated in track and field. Community Involvement: Represented the Minnesota Vikings Foundation during the 2018 My Cause My Cleats campaign to honor the youth and mission the foundation carries out in the Twin Cities. Hobbies/Interests: Proud Missouri alum and actively supports Mizzou football.